Although much research has been conducted about advantages and challenges for supply chain partnering (SCP) in the construction sector, focus has been mostly on formal aspects of implementation within organizations. Understanding social aspects, however, might be just as crucial to implementation of SCP as understanding managerial and intraorganizational dynamics. 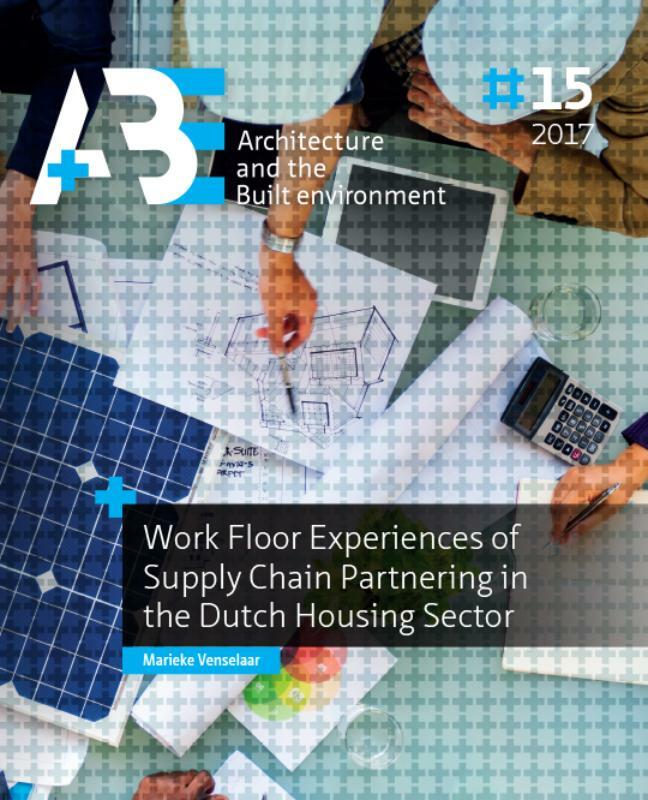 Therefore, this paper presents the results of a study in which a work floor professional together with a researcher tried to contribute to the implementation of SCP within the maintenance and refurbishment processes of a Dutch housing association. The results showed that stakeholders could not come to shared understanding of strategic needs, and that that pattern influences and was influenced by social aspects such as leadership and trust, which confirms the importance of explicit attention for social interactions at work floor level for successful implementation of supply chain partnering. VENSELAAR, Marieke; GRUIS, Vincent; VERHOEVEN, Fenne. Implementing supply chain partnering in the construction industry. A+BE | Architecture and the Built Environment, [S.l. ], n. 15, p. 77-98, dec. 2018. ISSN 2214-7233. Available at: <https://journals.open.tudelft.nl/index.php/abe/article/view/3608>. Date accessed: 26 apr. 2019. doi: https://doi.org/10.7480/abe.2017.15.3608.